The COSTA BRAVA GOLF CLUB, is situated in the heart of the Costa Brava, where the abundant and varied Mediterranean vegetation gives you a peaceful feeling. 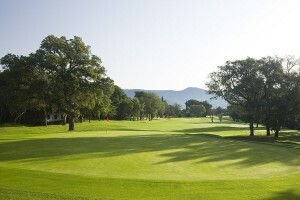 The 18 holes Golf Course, founded in 1969, was designed by Hamilton Stutt & CO. It combinates a very technical first 9 holes, surrounded by pines and oaks, with the long second 9 holes, flat terrain with wide long fairways. The 18th hole lies close to the Club House a Catalonian Farm of 1841, and from the Club House Restaurant you have a beatiful view of the 18th green, down below.